John H. Owens, 80, of Cincinnati, passed away Thursday, January 31, 2019 at Hospice of Cincinnati East Inpatient Unit. He was born December 28, 1938 in Cincinnati, son of the late Willie and Pearl Brown Owens. He is married to Gloria Ann “Jackie” Beasley Owens. In addition to his parents, he was preceded in death by his sister, Wanda and his brother, Otis. John owned and operated Angilo’s Pizza for 20+ years in Mt. Washington and Amelia. He also used to work at Hudepohl and Borden Chemical. He loved to travel, both locally and internationally. 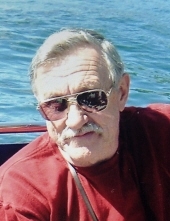 John entertained taking his grandchildren to and from school and spending quality time with his family and friends. He will be remembered as a great man that never met a person he didn’t like. In addition to his loving wife, he is survived by his children, John Owens and wife Tonia, Sharon Holtzclaw and husband Ted and Desi Minton all of Amelia; grandchildren, Michael McAdams, Hannah Owens, Kaleb Owens, Jimmy Kern, Tyler Holtzclaw and Damon Lewis. John will be cremated. A memorial gathering will be held from 2:00 PM, until the time of the memorial service at 4:00 PM, Saturday, February 9, 2019 at E.C. Nurre Funeral Home, 177 W. Main St. (SR 125), Amelia. Family suggests memorial contributions be made to Parkside Christian Church, 6986 Salem Rd., Cincinnati, OH 45230. "Email Address" would like to share the life celebration of John H. Owens. Click on the "link" to go to share a favorite memory or leave a condolence message for the family.